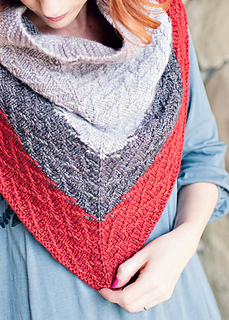 A thick & cozy, color blocked cowl with slipped stitch texture. 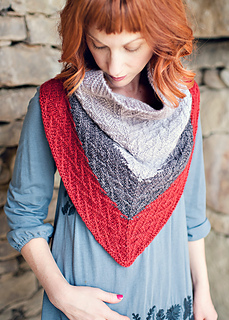 Construction is top-down beginning in the same manner as a triangular shawl. Cowl is worked flat until the neck opening reaches ~22”, then joined and knit in the round to the bottom of the cowl. 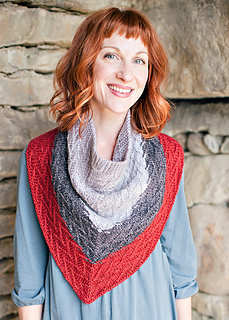 This design is also available as a shawl pattern. 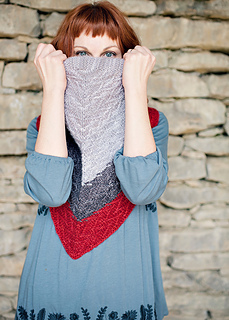 Purchase both the Western Auto Cowl and Western Auto Shawl patterns and receive a $2 discount! No code needed and purchases do not have to be made at the same time, the discount will be automatically applied any time the second pattern in the set is purchased. Pattern is written for one size for an adult woman. Measurements are taken post-blocking. NEEDLES: 24” circular needle in US 9 (5.5 mm) OR size required to obtain gauge. NOTIONS: stitch marker, darning needle for weaving in ends.